The African Cheetah (Acinonyx jubatus) is the fastest predator in the Kruger National Park, can weigh up to 65 kilograms and lead a life span of up to 12 years. 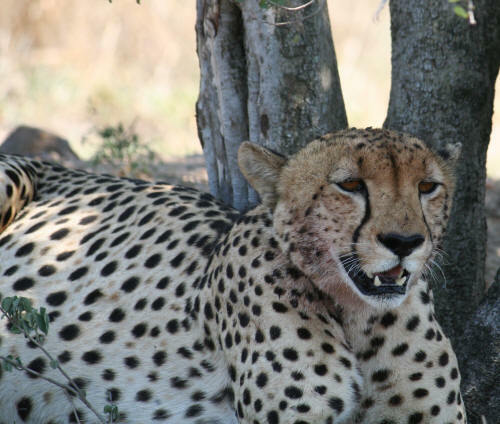 Where to look specifically for Cheetah in the Kruger National Park. The African Cheetah can be found throughout the Kruger National Park but is less common in the northern sections of the Kruger due to the high Lion density. They are most common around Crocodile Bridge and Lower Sabie. There are not a lot of Cheetah in the Kruger so seeing one is a real special occurrence. In all my years in the Kruger National Park, I can count how many Cheetah sightings I have had. The African Cheetah is capable of reaching tremendous speeds and it's acceleration is the equivalent to some of the fastest road cars in the World: 100 km/h in just over 3 seconds. They can maintain this speed up to 300 meters before they run out of energy. The Kruger Park is prime habitat for the African Cheetah, but due to heavy predation from other predators their population in the park rarely go over the 200 mark. The young Cheetah are born with a long white/yellow patch on top of their backs, this is to try and mimic the Honey Badger, which most predators are very wary of. 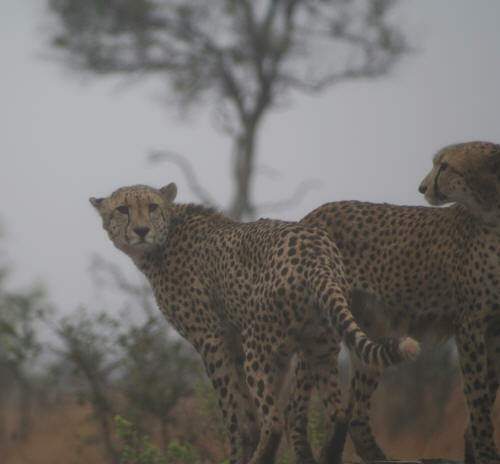 Cheetah cover wide distances in the Kruger in search of prey and generally have to eat daily. Their main prey in the Kruger include Impala, Reedbuck, Waterbuck and Kudu, and large males hunt Kudu bulls and Blue Wildebeest.